Welcome to the magical country of Morocco, where a smile greets every traveler. 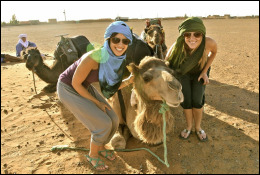 Whether you are dreaming of a trip into the stunning mountain ranges of the Atlas Mountains for Real trekking in Morocco and guided or self Guided walking and trekking trips through the old Berber villages or up for a challenge and summit its high peak of Toubkal, a camel trek into the sweeping dunes of the Sahara Desert, a visit to the ancient cities and colorful markets or a relaxing time on the sandy beaches of the Atlantic coast. 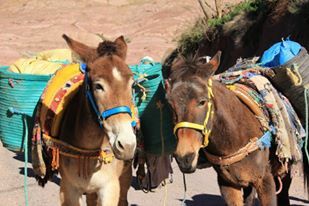 Mountain Travel Morocco has the knowledge and expertise to make your trip a once in a lifetime experience. Whether you are looking for a leisurely day hike, multi – day hike or to conquer North Africa’s highest peak, Mt. Toubkal, we can arrange a trip to suit your needs and fitness level. Our treks listed are the most popular and we can also arrange treks for other lengths of time as to suit your needs. 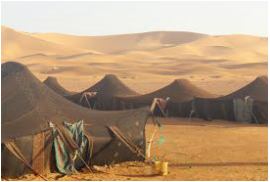 The tourism helps Morocco open its doors towards the world and it is our company ethos to foster the mixing of cultures so as to learn about each others way of living and to promote understanding and tolerance between the two. Promoting responsible tourism helps to preserve, in the long term, the culture, social values, traditions and identity of the population. It is important to protect the environment and work for sustainable tourism that contributes to economic and social development. 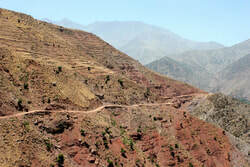 Mount Toubkal is the highest mountain in North Africa, reaching 4167m at its peak. 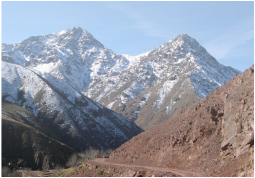 Your ascent will take two days and culminate in a spectacular and stunning view of the Atlas Mountains and the Toubkal National Park. This trek begins in Marrakech and takes you south for 3 days and 2 nights. You will visit some of the most interesting sites in Morocco, such as Ait Benhaddou Kasbah, the Dades and Todra gorges and the Erg Chebbi dunes.